Coastal Maine state parks are some of the most beautiful and unspoiled places in the United States. These locations will give you a clear picture of what the coastal landscape of Maine is really like, as well as offer you a chance to lose yourself in a vast wilderness that is destined to become part of your own soul. Though these protected areas can be found in all corners of the Pine Tree State, this page focuses on some of the coastal Maine state parks that you will be able to visit, listed from south to north. 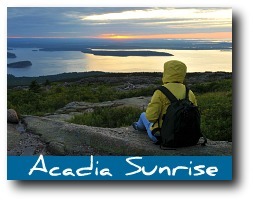 Please keep in mind that these are only some of our beautiful Maine state parks - there are many more inland! The closest of the Maine state parks to York, this park holds some fascinating military history in it that will give you an idea about a time from long ago. If a trip to Kittery Point Maine sounds good to you, don't miss the chance to stop by Fort McClary along the way. Built over 275 years ago, this fort was designed to protect the approaches to the Piscataqua River, a very important waterway in colonial times. The fort itself is named after Andrew McClary, a native of New Hampshire, who was killed during the battle of Bunker Hill during the Revolutionary War. What is important about this Maine state park is that it gives visitors the chance to see a historic example of some of our earliest military architecture. Along with this, visitors will also be able to see how things have advanced in present times thanks to this historical site. It is important to note that there are buildings from several different periods of time in history located here. 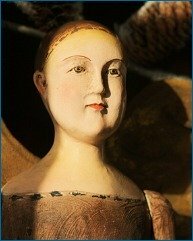 The earliest is from the Revolutionary War, while the most recent ones date back to World War I. This is another one of the beautiful Maine state parks that you'll find close to York. I love to hike here! Most visitors to this area are looking to head down some of the 3 miles of trails that will take them along the Salmon Falls river in South Berwick. You will find that this location has plenty of outdoor activities going on, although the main focus remains on nature and all the different hiking trails that are available. Vaughan Woods is very aptly named. Pay close attention to the amazing variety of hemlock and pine trees that you will find in this area. If a riverside "Cathedral in the Pines" type of experience sounds like something you'd like, this will be one of the best Maine state parks for you. 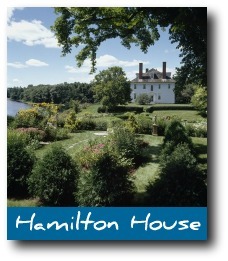 When visiting Vaughn Woods state park, consider also paying a visit to the historic Hamilton House, which is adjacent to the state park. The grounds are spectacular and there's always interesting events, lectures and tours going on there. Another Historic New England property is nearby in the center of South Berwick -- the home of writer Sarah Orne Jewett. Ferry Beach got its' name from the ferries that carried people to the beach from the nearby Saco river. This is a simply lovely, approximately 100 acre Maine state park. The beach is wonderful here. If you are heading to the Saco/Old Orchard Beach area for some of the nearby Maine amusement parks and water parks, make sure you stop by beautiful Ferry Beach for a swim! This is one of the most popular southern Maine state parks for swimming. During the summer, water temperatures are always refreshingly cool, although you might find there are rip tides over the course of the day. Lifeguards are on duty though, just in case. Spending the day in Portland Maine? Think about stopping by nearby Scarborough Beach state park! It's a lovely place to walk, even if it's not summer. 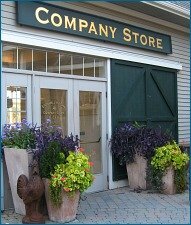 Many years ago, I worked in Scarborough, Maine -- and this is where I spent many a lunch hour...in every season except during winter storms. Even if it was raining, sometimes I'd go park there and sit in the car with a good book...it's that lovely. Crescent Beach State Park is located just south of Portland in the beautiful area known as Cape Elizabeth. Since 1966, it has offered visitors the chance to explore vast beaches, wooded hikes and rock ledges that give spectacular views. If you are looking to fish or enjoy water sports, this picturesque location is one of the Maine state parks you won't want to miss. Two Lights just might be the most classically "Maine" of the Maine state parks south of Portland. The epitome of Maine's rocky Atlantic coastline and crashing surf, Two Lights is so named for the two 1828 twin lighthouses that still stand there. 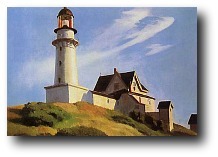 One is now a private residence, but the other twin still remains an active beacon. It's too rocky to swim at this Maine state park, but bring your imagination and picture Edward Hopper standing there painting his famous work "Lighthouse at Two Lights". 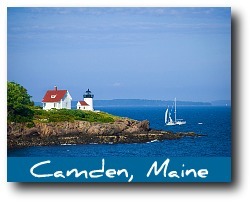 As we continue up the coast on our tour of Maine state parks, we'll definitely need to make a stop at Camden Hills. This beautiful location rests on and around Mt. Battie. It is from the top of Mt. Battie that you'll be able to fully enjoy the picturesque mid-coast beauty of the town of Camden, Maine as well as Penobscot Bay. Best of all, if you are visiting on a clear day, you could even see the remarkable Cadillac Mountain in Acadia National Park in the distance. There's a lot of great hiking at this Maine state park, and a fine campground as well, complete with RV hookups. 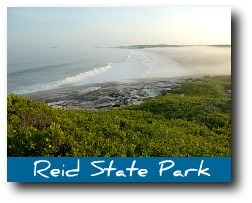 Reid State Park has wonderful long sandy beaches, quintessentially Maine inns and hotels, and is just right for a long walk, swimming with the kids, or just finding shells. Just to the south of the harbor of the fabulous town of Rockland Maine and the Owls Head Transportation Museum, you will find this quiet park. In it, you will find the Owls Head Lighthouse as well as plenty of hiking trails and even an old cemetery to explore. This property does belong to the U.S. Coast Guard, so you will need to be sure you aren't trespassing in certain areas. You either like heights or you don't. 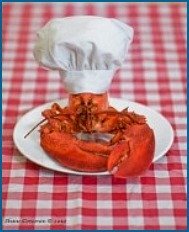 If you don't like them, I can think of a few other Maine state parks you'd prefer! 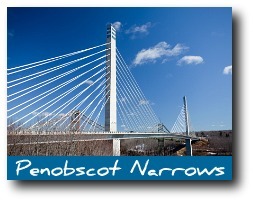 We always cross the Penobscot Narrows bridge (see picture) on our way to Bar Harbor, but -- holy moly! -- some people actually stop and take the one minute elevator ride to the very top. I'll grant you that the view must be spectacular, but the bridge alone is plenty high enough for me. The Narrows bridge is located on the grounds of Fort Knox (tickets to the bridge Observatory available at the Fort Knox Welcome Center). Fort Knox is by far the biggest of the historic forts you will find for the different Maine state parks. Built between the years of 1844 and 1864, this site was actually never fully completed. It is located along the Penobscot River as a way to offer protection from possible naval attacks, although it never actually was used in combat. Something you may find interesting is that this is the first fort in Maine to be constructed with granite. Popham Beach is well-known for some of the best surfing and swimming of all the Maine state parks. Because of all that great ocean action, however, this is a beach on which to always be aware of rip tides. Additionally, there can be very little beach left at high tide. You can also check out Fort Popham historic site. This semi-circular fort, which was constructed from granite, is another one of Maine's forts to never see completion. Intended for use in the Civil War, it never quite made it and construction continued again for both the Spanish American War and World War 1. 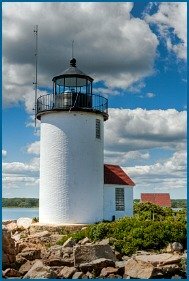 It is likely that you will find this breathtaking island and fort to be among the top attractions to see when you are visiting Maine state parks. Many visitors to Maine seek out this location, thanks to the easy boat access it has to Frenchman's Bay, Acadia National Park, and the surrounding islands. 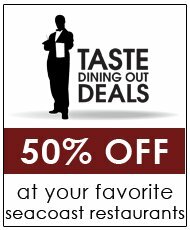 In addition to that, many people find it to be one of the more relaxing and quieter options when they are visiting Downeast Maine. From boating and fishing in the summer, to skiing in the winter months, this location has plenty to offer visitors. These are just some of the pristine locations you will find when you are traveling the coast of Maine. With so many different options, you will find that each area will offer a beautiful experience for you to remember for a long time.